Entering into a debate about what ME is and how to get better is to get into a complicated minefield. At the current time there is no no clear-cut test for ME and a lot of confusion about how to even diagnose it accurately. Each patient experiences the illness in different ways and this makes it difficult to assess which treatments really help. At the moment there is no pill which will cure this life-altering illness. It is important to make sure that you have been thoroughly tested. Some ME referral centres already do this as a matter of course, and find that around half of the people sent to them do not in fact have ME. This pie chart shows the results at Newcastle ME Centre in 2011 – in previous years 60% did not have ME. Other centres do very little testing: you often only get a 15 minute interview with the specialist before being passed on to the therapy team. Of course, very many of you do not have a specialist ME centre, or are unable to get there. The ME Association have a booklet for GPs, and many leaflets for patients offering advice on treating specific symptoms, such as sleep disturbances, pain, vitamin supplements etc. There are also a few (expensive) private clinics that carry out a range of tests and offer treatments. 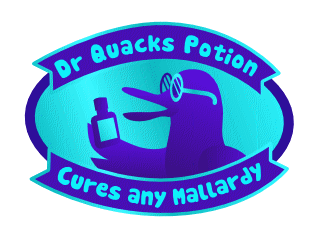 Be very suspicious of anyone suggesting that they offer a cure. The NHS have adopted the NICE guidelines which recommend CBT and GET but these treatments are widely discredited within the ME community and the research was extremely unconvincing when looked at in detail. Many patients have suffered more harm than good from GET treatments. Much of the information and knowledge about ME is very unreliable so beware of specialists who only see ME from their own narrow field and so fail to successfully treat this multi-system illness. Look for doctors who take a wide, balanced and open view, and who look for good quality, long-term evidence. As there are no simple cures to be found in orthodox medicine, many people turn to alternative practitioners and some (but not all) patients find these can help relieve some of the symptoms. Some of the treatments will help, some will be rubbish. When looking into different treatment regimes remember that not one of them yet has had their claims independently verified (including later follow-ups). There are many therapies that approach treating ME through purely psychological treatments. Be wary of these as many carry a misleading assumption that ME is primarily psychological, and of course it is not. The "experts" are all going to be pleasant, supportive and confident that their treatment is effective - otherwise they wouldn't be able to persuade you to part with your money (often lots of it!). The Gupta Program is the only one that I know of that will give you a refund if it doesn't start to work in 6 months. Look at the advice from the associations, see what other people with ME have found to help. Be sceptical of anyone who claims to be 95% better - only top level athletes pushing themselves to the absolute limit can tell the difference between 100% and 95%. I believe that people can improve their quality of life over time if they learn to live within their energy means. They then need to be careful not to overdo things as this can bring on a relapse (just like Chicken Pox virus can come back as Shingles). As the picture is so confusing, what should you do? Firstly, do not even try to push yourself through this. "Boom and bust" is a disastrous approach for ME and is likely to make you much worse. Secondly, try to get your body as healthy as possible e.g. good diet, enough sleep, reduce physical stresses (this is where all sorts of different things can help). Thirdly, try to get your mind as stress free and as positive as possible. Acceptance of where you are currently at is also important. 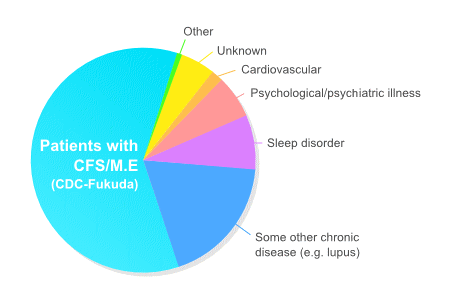 In 2013 the PACE trial made claims that 22% of people with ME/CFS recovered after CBT, but what most people didn't notice was that they didn't mean "recovered" as you or I would know it: they just meant small improvements in a few answers to questionnaires. (You may like to watch a short animation explaining that). That does not mean that all CBT is of no use: some people find that CBT, when delivered by someone who understands the limitations of ME, helps them adjust to the illness, and to respond to it more efficiently. Remember, with ME every part of your body is struggling to function properly: the first thing to do is to reduce both the physical and the psychological stresses that it has to cope with.